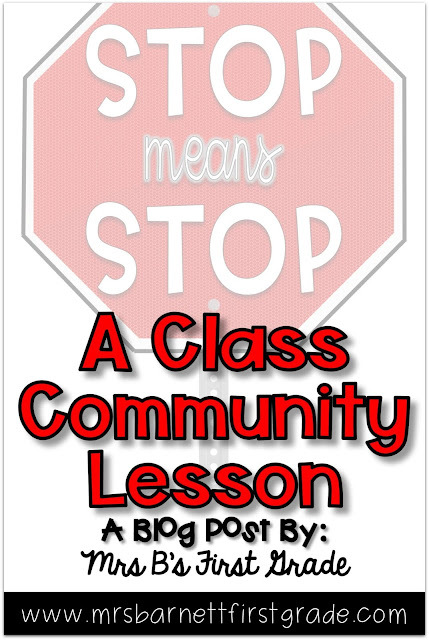 I don't know why, but I hear the word "stop" being ignored in my classroom constantly. Student is yelling into another student's ear while they are reading. "STOP!" Student keeps yelling. The whole class is trying to quiet down and someone is crawling over the floor acting like a puppy. The other kids say, "stoooop!" The student keeps crawling. A student keeps trying to knock over dominoes before the student building with them is ready. "STOP!" Student knocks over dominoes anyway. I bring out this stop sign. "Yes! 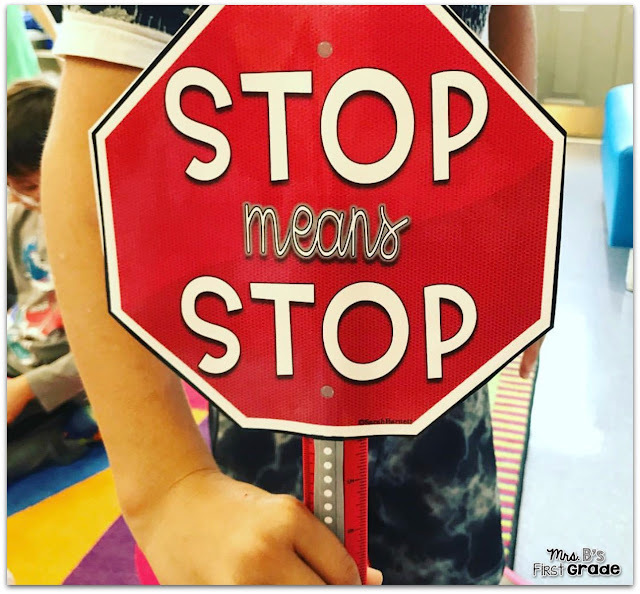 What does a stop sign mean?" I tell them about how I have to follow stop signs as an adult. I talk about how stop signs are on streets. I ask them what would happen if I decided one day that I didn't want to stop. That I just kept driving through all of the stop signs and said, "nah, I'm not stopping today." We talk about the consequences I could face. We also talk about how I respect the word stop. If I am teaching and someone needs something explained better and asks me to stop. Do I stop? Of course. If I am walking in the hallway and our principal asks me to stop so that she can ask me a question. Do I stop? Of course. We repeat this over and over. They give me examples of when people need to stop. It truly resonates with them. We leave the stop sign out by our meeting space all year as a reminder. It doesn't completely eliminate it - but it helps so so much. I often hear my kids reminding each other that stop means stop and they respect that. 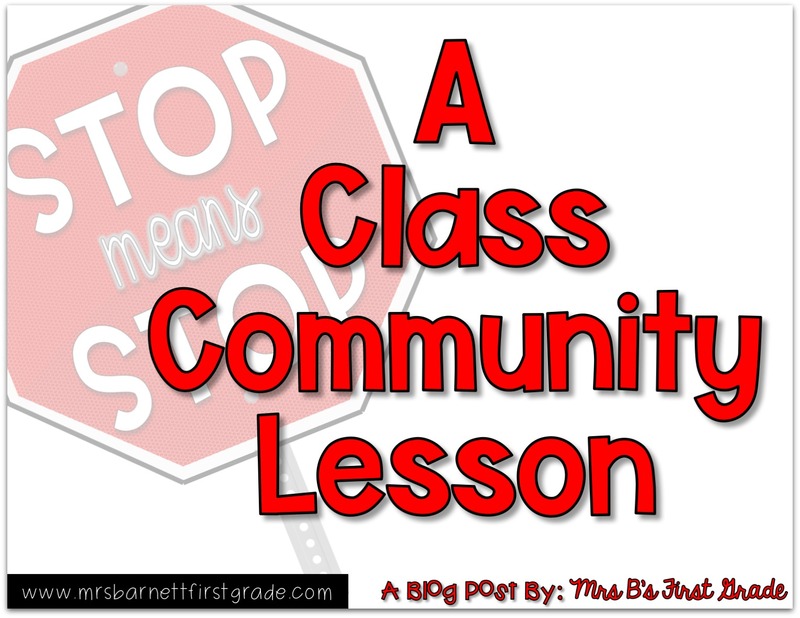 It truly creates a classroom community change. Want to introduce it to your kids? Just click below to download. I laminate mine and put it on a ruler. I then put magnets on the back so I can put it on our whiteboard. I would love to know how it works for you!